Offseason National Parks Car Camping is the perfect way to take a road trip and stay on budget. Ditch the crowds and high prices, avoid bugs and travel in autumn and winter. I don’t know about you, but I am not a fan of sharing my travel experience with hoards of other people. Crowds of people make a holiday seem less relaxing and less personal. 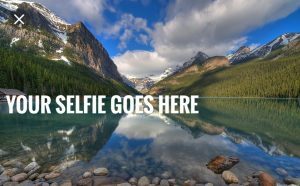 According to the LA Times: In 2017 the National Parks System had 331 million visitors. That is almost the population of the United States! March to October are the busiest months for most of the National Parks in the west. Did you know that park staff often temporarily close the roads into National Parks when they become too congested to let in more visitors? Offseason National Parks car camping means no waiting and no congestion. 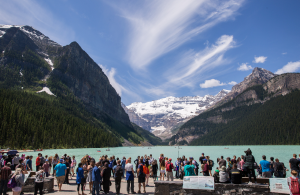 These photos, below, show crowds of people at National Parks in the busy season (from nps.gov). The best place to get information on the quietest times to visit is by going directly to the park’s website. Offseason National Park car camping is a great way to relax and feel close to nature. Your chances of getting a prime campsite greatly improve after Labor Day. Campsites are economical and if you budget car camp in the offseason, you are less likely to be crammed into a site next to people who ride their dirt bikes at night, light off bottle rockets and (most importantly) blast Kid Rock at breakfast. 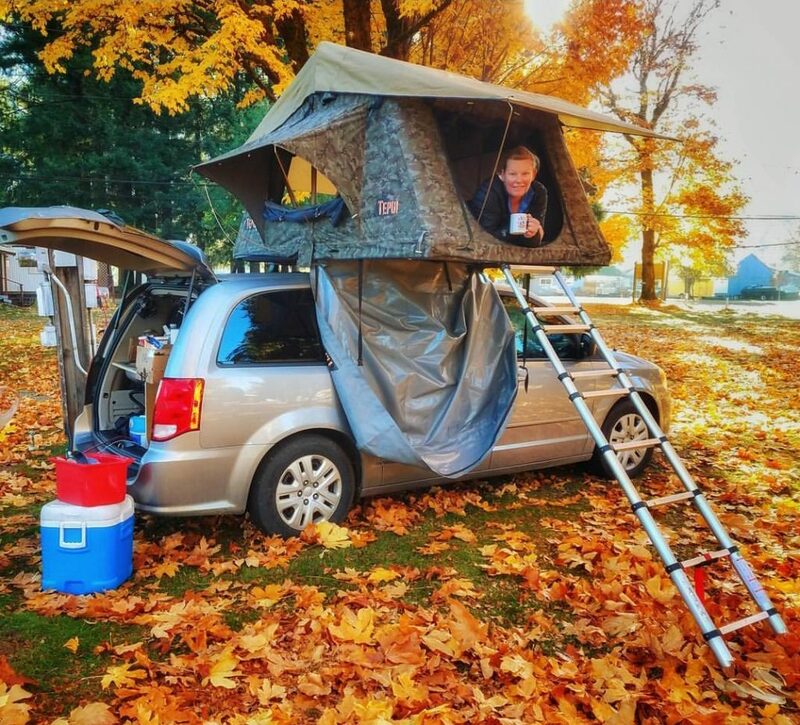 Did you know that a Lost Campers budget campervan fits nicely into a tent site? No need to reserve an RV site. Fewer crowds equate to greater chances of seeing wildlife. 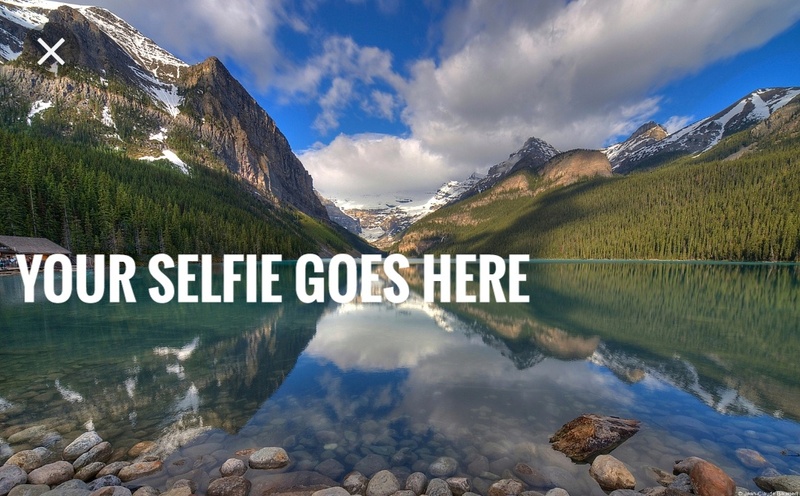 The chance of you capturing that iconic photo, you know the one where you’re standing in front of an alpine lake with a mirrored reflection of the mountain peak in the background, is actually possible. You won’t have to worry about wildfire smoke ruining a photo either, besides that, wildlife photography is also easier. Not only are animals more likely to be visible in cooler temperatures they don’t like crowds either. Let me tell you a short story about the time I camped in my Lost Campers budget campervan outside of Mt. Rainier National Park in the offseason. It was cold outside our van, but we had our little heater keeping us toasty inside. We were getting ready to fall asleep on our comfy mattress when all of a sudden we heard a strange, high pitched sound. We opened the sliding door to our van and saw green eyes moving towards us. It was the local herd of elk. The heard split up into smaller groups and the females lead the young ones across a road to a field. They were calling to each other and we got to witness the entire thing. In the morning we awoke to the same herd grazing all around us. No one else was around to scare the elk away and I was able to take some great photos. You wouldn’t get to be a part of something magical like that if you were camping in peak season or sleeping in a hotel room. Lost Campers rents small heaters and extension cords for no fee. Lost Campers often run specials on their budget campervans in the offseason. Would you rather travel through Death Valley when it’s so hot you could fry an egg on the hood of your car? Nope! To me, summer means heat, humidity, mosquitoes, those persistent and insufferable, little flying insects that get inside your nose and eyes. It means tornadoes and hail storms. Using your vehicle’s AC in summer causes your engine to get hotter and sometimes overheat. The offseason generally has better weather for travel. The colors are changing, the air is crisper and the fog that is associated with many sections of the west coast make for a gorgeous photo. Even if you are traveling in a cloudy season it will make your roadtrip photos more impressive (moodier). Fall is my favorite time of year for a road trip, but depending on where you plan to visit, traveling in winter may not be a bad idea either. With a little planning, you will see things that other people don’t get to see. Snow-capped mountains, crystal clear lakes and animal tracks in the snow are all things you can look forward to if you travel in winter. Mosquitoes die or hibernate when the temperature is consistently below 50 C.
Travelers can take advantage of waiting a little later in the year to embark on an adventure. You could have the trip of a lifetime – all to yourself. The best way to take advantage of the shoulder season is by “getting lost” in a Lost Campers budget campervan. What are you waiting for?